As most of you are aware by now, I LOVE to travel and I have blogged about my top tips and advice on several occasions. I really wish I could be one of those super efficient travellers you see with only the smallest of suitcases, breezing through security without breaking a sweat however, travelling with a Cochlear Implant means a lot of hand luggage – before I’ve even had a chance to pack my sunglasses and flip-flops my rucksack is pretty much full! Today I’ve decided to give you the low down on all the necessary equipment needed to travel with a CI. So the next time you see me at the Departures lounge, laden down with bags, looking like someone who has been dragged through a bush backwards (that would explain the lack of upgrades), don’t judge me! 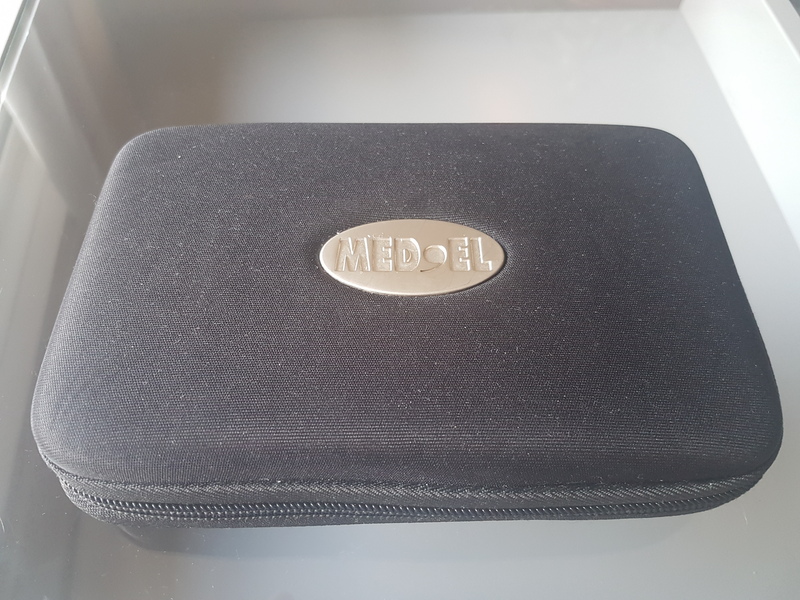 This little box is an everyday essential, not just a travel necessity as it draws out the moisture from your implant. Moisture is the biggest problem for CI’s and the most common cause of them failing so it is imperative that you use it daily. 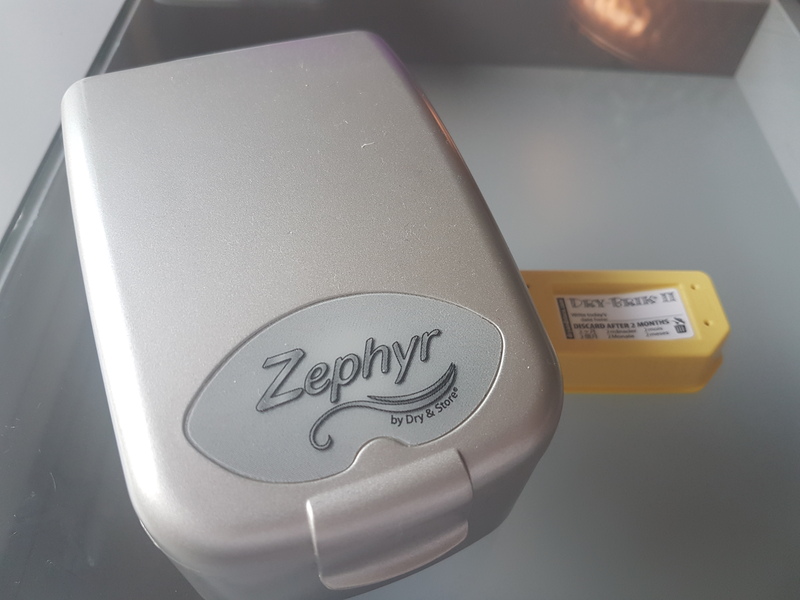 This device is plugged into the mains for 8 hours at night; just take apart your device (batteries out and holder unhooked) and let the box work its magic. In extremely high temperatures or humidity, it is recommended you use the Dry Box several times a day where possible. 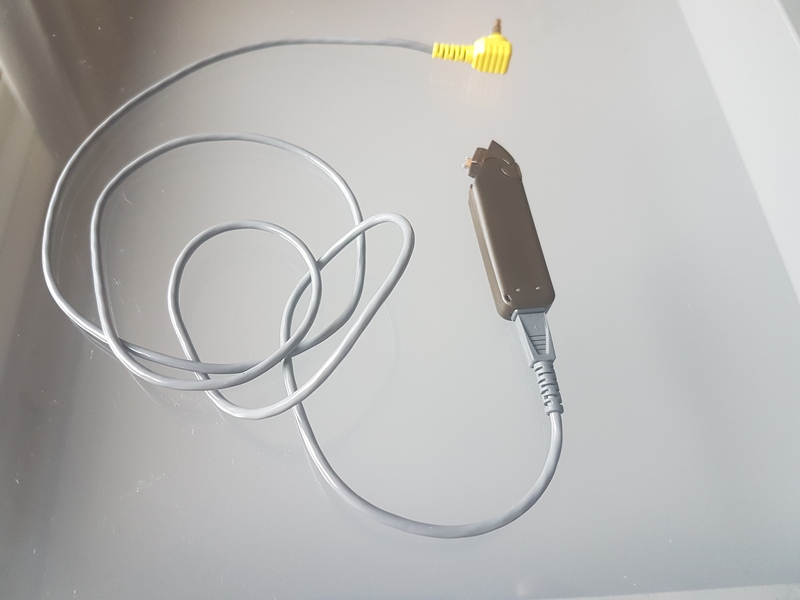 There is a travel version available but this isn’t electronic and I find it is harder to know whether it is doing the job effectively so I stick to the plug version. It is worth keeping in mind that if you sweat excessively whilst on your holidays or even have wet hair, it can cause your device to temporarily shut down. I found this out whilst I was visiting a bustling market in Hanoi, Vietnam and was really upset as I didn’t know why it wasn’t working. I popped it in the dry box for a little while and it was good as new! 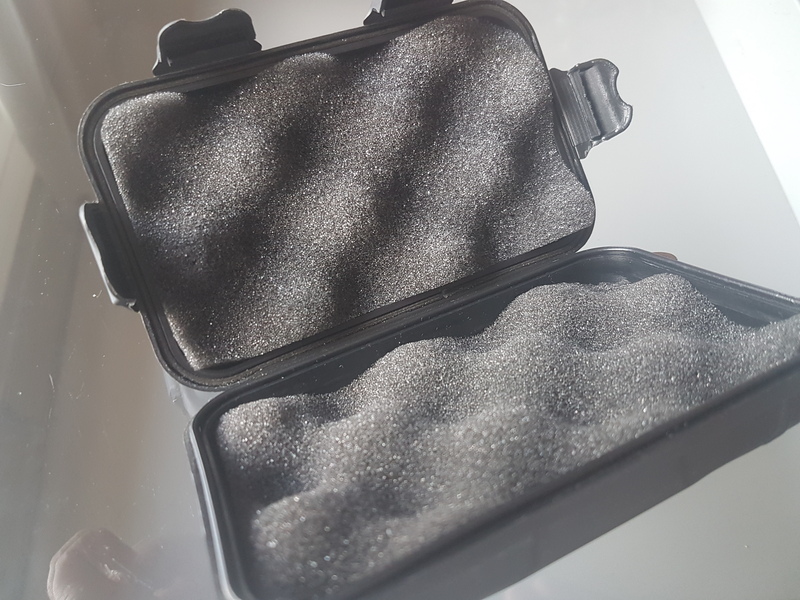 This handy little travel kit comes with your welcome suitcase on the day of activation and is a great little tool box filled with the necessary tools to carry out minor, common repairs to your kit. Spare ear hook – this is the most common repair carried out. The ear hook is the part that hooks around your ear (self explanatory really) and it is actually quite fragile and prone to breaking easily. Mini brush – I’ve never actually used this but I’m told this is for giving it a little clean in between the crevices. Speech processor test device – this is for testing your processor when issues occur to pinpoint where the problem is. Full instructions on how to use it are contained in the user handbook. 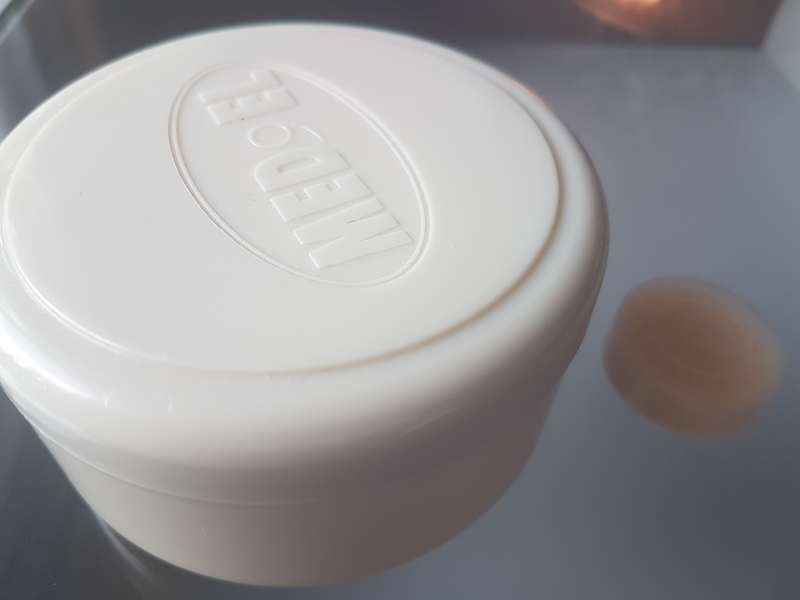 Battery holders – with Med-El there are three different battery holders for disposable and rechargeable batteries. Batteries – as mentioned above, there are three types of batteries and it comes down to personal preference on which one you decide to use. More on this below. Spare coil cable – The coil that attaches your device to the magnet is another common breakage and a spare coil is provided for you should this happen. The smallest of the battery holders can take 2 disposable batteries at a time and lasts approximately 2-3 days depending on your usage. This is my personal preference because it is lightweight and doesn’t cause my ear to hurt. The second battery holder takes rechargeable batteries (of which you will receive 2 or 3 dependent on your hospital) which last approximately 24 hours before needing to be recharged. These are obviously heavier than disposable batteries. The last battery holder can take 3 disposable batteries at a time and can last up to 4-5 days, again dependent on use. 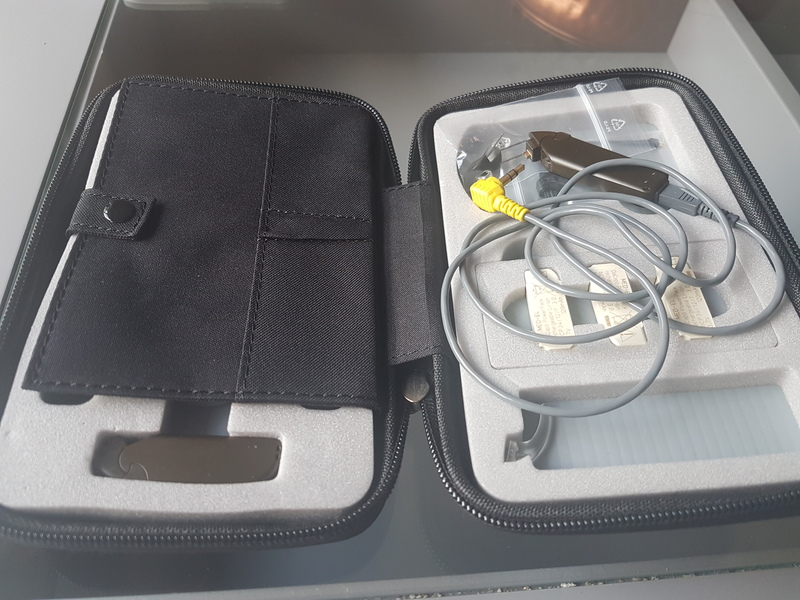 This battery pack is the “standard” one provided on the day of activation and it also has a audio cable that can be attached so you can listen to music/films from your phone and laptop directly. I personally love to use mine for mobile phone calls as only I can hear the person talking to me as the audio is fed directly to the implant. For those of you who prefer to use the rechargeable batteries for your device, this rechargeable battery plug is an essential, especially considering the relatively short battery life. You can charge up to two batteries at any one time. To make sure you don’t forget which battery is charged, I would recommend using nail paint on them to identify the different batteries! 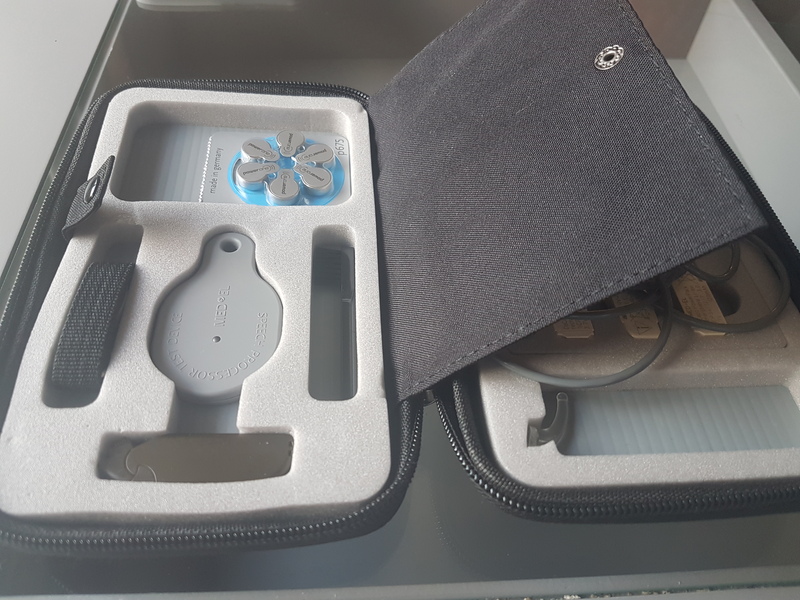 The DaCapo charger also comes with european and USA travel plugs which is very handy! For those CI users that like to swim a lot, there are many waterproof accessories out there for your device. I, however, like to take mine out when I go swimming or on boat trips so I have a waterproof bag where I can store my device safely. 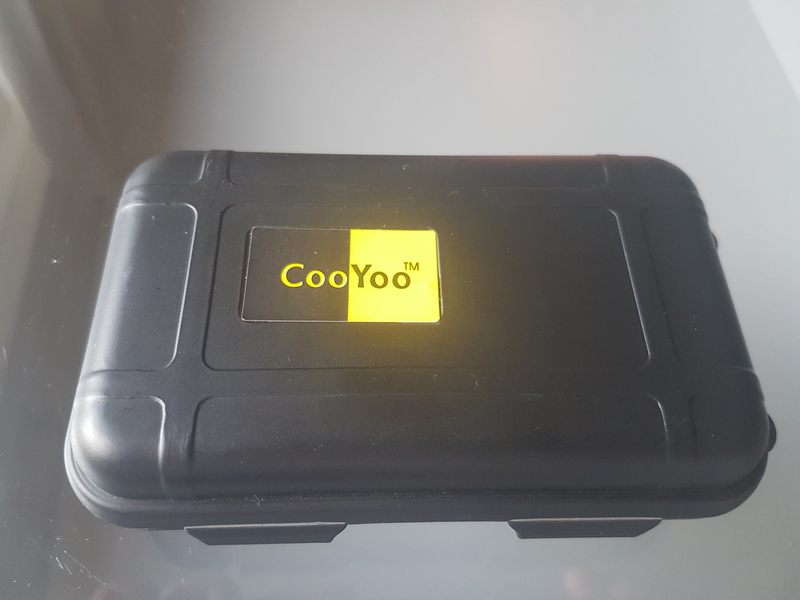 I often put the device in a cushioned ‘coo yoo’ box (purchased from eBay) before placing in the waterproof bag, mainly because I get really paranoid that I’ll break it. These cards were given to me by the hospital and are extremely handy when it comes to airport security/anywhere that requires you to go through security scanners. The Patient Identification card contains information such as your name, date of birth and the make and serial number of your device. There is also a barcode, I assume for other hospitals to be able to trace further information on your device or medical history. 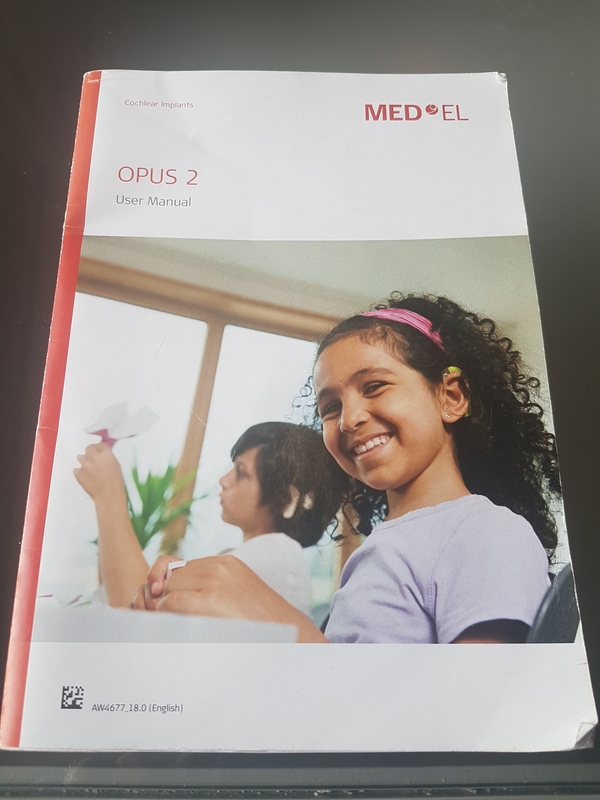 The Med-El Cochlear Implants information card contains information on what an implant is and what precautions must be taken in no less than 24 different languages!! It is a very helpful tool if you are in a foreign country where you cannot speak the language and pointing at your head doesn’t work. This isn’t really a necessity – rather a precaution in case security (predominately at airports) are not aware of what a CI is and require further information. I rarely bring mine with me nowadays and suffice with my Med-El patient identification card. It is however, handy to have on you in case you need to repair your implant. 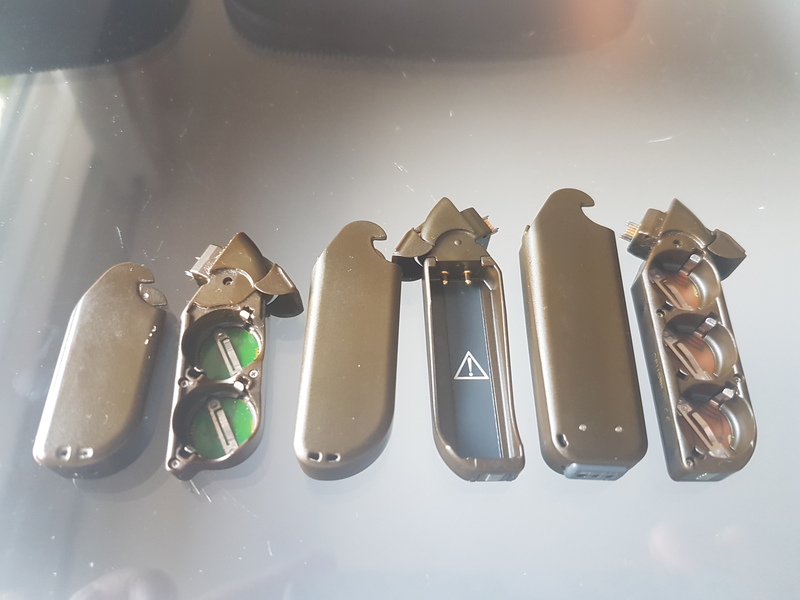 Please don’t be alarmed by this post, it is highly unlikely that you will ever need the repair kit when you are on holiday, or many of the other equipment but it is worth bringing them with you for your own piece of mine. Since I received my implant I have traveled to Copenhagen, Dubai, Australia, Fiji, Las Vegas, Prague, Vietnam, Cambodia, Thailand, Venice, Rome, Frankfurt, Iceland, Paris and Budapest and I have never come across any problems, be it at security, or with the processor *runs to find some wood to touch*. If this post has inspired you to do some travelling of your own, check out Rexy Edventures, another CI user, and his fantastic trips. Our CI’s haven’t stopped us travelling, and it shouldn’t for you! Thanks for this. I have a massive travel bag which was issued by Cochlear and you can fill it easily when going on holiday. There are lots of other hints and tips in the extensive folder and emergency numbers to call. The same travel items apply whether travelling in the UK or abroad but is always seems more scary when having to pack and go through all the rigorous travel checks in airports though. Happy holidays everyone out there. Congratulations on your important information. I lost my implanted patient card and here in Brazil, I am not getting a copy. It is very difficult to be implanted patient in South America, they do not give importance to the outside world. I need to travel to North America and I need this card. If you can give me this information, I appreciate it. Hi Carlos, Sorry to hear you are having issues getting hold of a replacement implant card. Have you used the med-el website to find a clinic in Brazil to contact? If not, here is a list on their website of clinics in Brazil that you may be able to contact for a card; https://www.medel.com/us/clinic-finder/ Hope it helps! !